WARSAW, Poland — The Estonian Ministry of Defence has decided to join its Finnish counterpart in a plan to acquire South Korean K9 Thunder howitzers. Estonian Defence Minister Margus Tsahkna said the new weapons will significantly increase the artillery and maneuver capabilities of the country's land forces. "The K9 Thunder is capable of striking targets that are located more than 40 km away," Tsahkna told local daily Postimees. Under the plan, the howitzers will be delivered to the countries' armed forces by 2021. Estonian Defence Ministry officials said the country wants to purchase at least 12 howitzers. 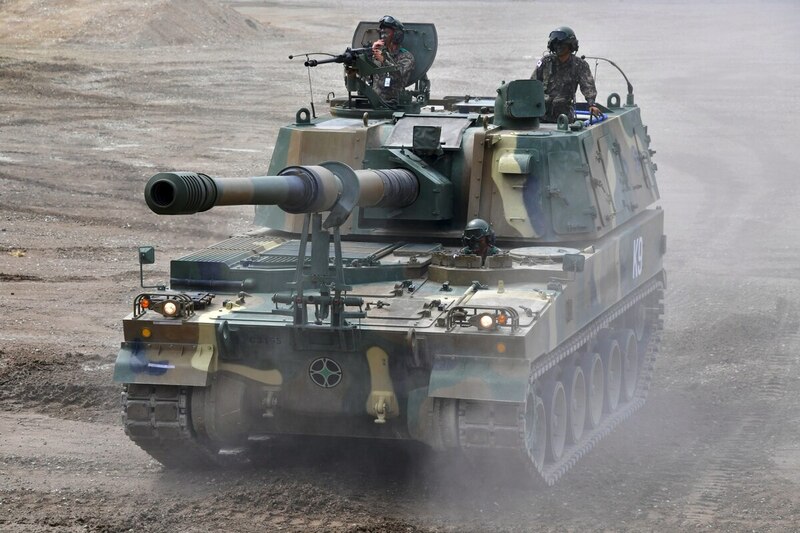 The 155mm self-propelled K9 is produced by South Korea's Hanwha Techwin. Estonia's decision to acquire new ground warfare weapons reflects the increased concern of the three Baltic states over what they consider Russia's belligerent behavior in Eastern Europe. These fears have been amplified by Moscow's military intervention in Ukraine and the subsequent annexation of the Crimean peninsula in March 2014. Earlier this year, the Estonian government launched a new military procurement agency to centralize all purchases of weapons and gear. These had been made by the respective branches of the Estonian armed forces. The new agency will also allow Tallinn to expand its defense procurements to some €200 million (US $215.6 million) per year by 2020, according to Tsahkna. Russia's military actions in Ukraine have also spurred increased defense cooperation by Estonia, Latvia and Lithuania. The three countries are considering plans to jointly set up an air defense system.